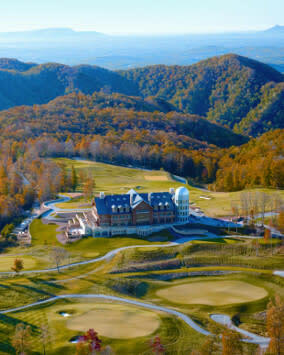 For your next vacation, have a luxurious experience at a resort in the Blue Ridge Mountains. 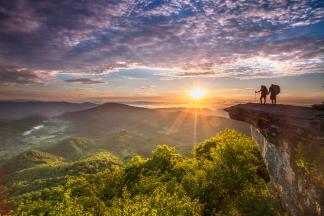 In the Roanoke Valley in Virginia&apos;s Blue Ridge, we have first-class resorts that are perfect for a mountain getaway. Each property features a fantastic assortment of activities, varying from stargazing to zip-lining, and everything in between! Between cabins, condos, suites, and even tree houses, the resorts of the region feature unique lodging options that make for an unforgettable stay. When the sun goes down, you&apos;ll enjoy fine dining, relaxing accommodations, and impeccable service. A stay at a resort in the Blue Ridge Mountains is the type of mountain getaway where all the details are taken care of, allowing you the perfect opportunity to relax and enjoy yourself. It&apos;s a wonderful place to celebrate a special occasion, such as an anniversary, honeymoon, or significant milestone in your life. Have a romantic day at the spa. Sample wine from around the world. Share an incredible meal with friends and family. Test your skills with a challenging round of golf. Spend time with nature on a hiking trail. Cast your line on a fishing adventure. And see the stars light up the Blue Ridge night sky. When you stay at a resort in the Blue Ridge Mountains, you&apos;ll make memories that last a lifetime. Learn what makes us the best destination on the East Coast for outdoor recreation.